Transportation by a 4wd safari vehicle. A visit to Boomu Women community project. A visit to the top of the falls. Boat trip in Murchison Falls. One Gorilla permits per person to be secured and paid for in advance. Welcome to the amazing country of Uganda, you will be greeted by our representative and taken to your hotel. Be sure to take in the sites as you navigate the city of Kampala. The next morning you begin your journey with a drive north west with a visit to the Ziwa Rhino Project, a chance to see one of nature's most powerful animals. From there continue to lunch and then a stop at the women community project. A drive to Murchison that is situated at the top of a fall where you can see the Nile’s beauty exemplified. After a beautiful evening sunset you will retire to your lodgings. 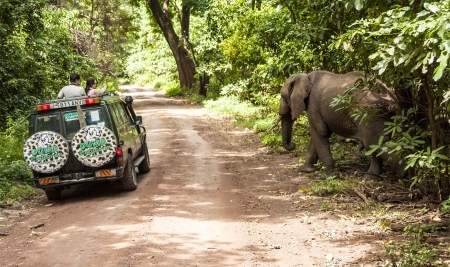 On the third day your guide will take you on a morning game drive to spot Elephants, Lions, Giraffes and many more before returning to your hotel for breakfast. In the afternoon enjoy a Nile boat cruise to the falls where the many teeth of crocodiles and hippos will be there to greet you as well as tons of bird species. Your fourth day is an all day drive through the beautiful farmlands of the Albertine Rift and Fort Portal, enjoy an evening under the shadows of the fabled Mountains of the Moon. Day five brings you to your first of two primate trekking experiences through the Kibale National forest, where your guide will not only explain the apes but also the other flora and fauna. After lunch we head to Bwindi, here you may spot much wildlife including Elephants, Buffaloes, among others. This is the lushest highland rain forest on earth, filled with primates and exotic birds, valleys, hilltops and papyrus swamps. The next day prepare for your trekking venture making sure to take all necessities, tracking may take between two to six hours so be sure to include your lunches, your guide will brief you. 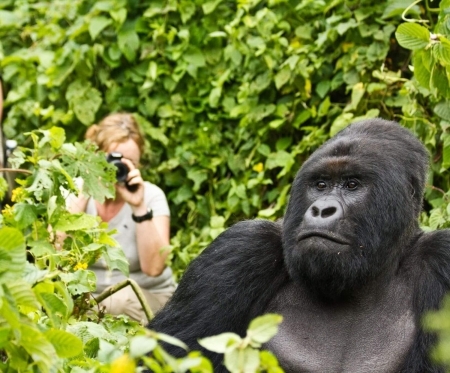 Track the rare Mountain Gorilla, perhaps one of the most exciting wildlife experiences on earth In the evening go for a walk through the Buhoma Village and see how the people of Bwindi survives. Finally return to Kampala and then on to Entebbe to explore the Cultures of the Ankole and Bahima before preparing for your evening departure. - Only applies to one child under 12 years sharing a room with 2 adults. - One child sharing a room with one adult will be charged full adult rate. - 4 - 11 Pay 45% of tour price. Reservations should be made as early as possible to book your desired Uganda safari tour, spaces will be secured upon receiving a deposit of 50 %. This deposit forms part of your final payment. Deposits can only be made by credit cards, wire transfer and or the Western Union, and the balance of payment to be paid one week before tour start date. 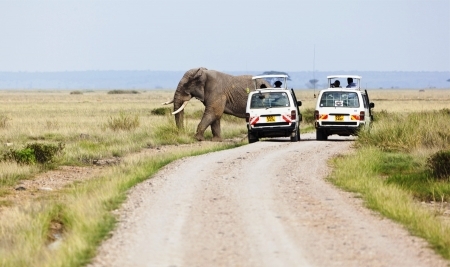 It is recommended to travel with soft bags such as duffle bags instead of hard shell bags as there is a strict 15KGS per person policy and makes it easier to fit in your safari vehicles.